When reading about the history of starlets in the Hollywood of yore, we often learn about the meteoric rise of actresses like Marilyn Monroe, Jean Harlow, Elizabeth Taylor or Rita Hayworth. When charting the film careers of classic Black actresses, stories are often confined to Dorothy Dandridge, Lena Horne, Josephine Baker, and yes, even Hattie McDaniel, who broke barriers by becoming the first Black actress to be nominated for and win an academy award for her role as Mammy in “Gone with the Wind”; and who’s success wasn't without some measure of controversy, as critics argued that many of her roles acceded to the sensibilities of white audiences and pandered to racial stereotypes and tropes about Black pathology, and took McDaniel to task for seeming to cow to being relegated to those roles. 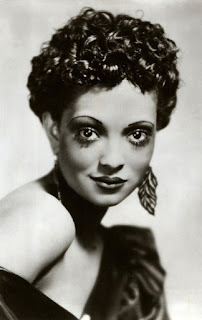 For better or worse, the narratives we often hear about, very rarely include actress Nina Mae McKinney. 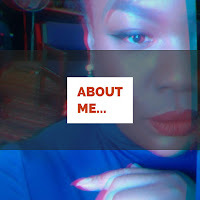 Referred to as “The Black Greta Garbo”, McKinney is reportedly the first Black film actress to grace the silver screen in small but notable parts, and has the distinction of also being the first Black actress to appear on British television. Born Nannie Mayme McKinney in Lancaster, South Carolina, Nina got her start as a 16-year-old dancer in the chorus line on Broadway, in Lew Leslie’s production Blackbirds of 1928; a performance that resulted in her snagging the part of ‘Chick’ in King Vidor’s first all-Black 1929 talking picture Hallelujah, as a last minute replacement for Ethel Waters or Honey Brown, who were both being considered for the role. 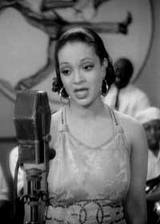 While Hallelujah wasn't a massive commercial success, it still garnered enough attention to put Nina Mae McKinney on Metro-Goldwyn-Mayer's (MGM) radar; the film studio signed her to a 5 year contract. But as was par for the course for most Black actresses, her career fell prey to the contentious racial politics in the U.S. during that time. Despite contracting McKinney, MGM was reluctant to cast the beautiful starlet in feature films, placing most of her scenes on the cutting room floor while using her singing voice to dub over Jean Harlowe’s. Much to her dismay, the actress could only get roles in bit (stereotypical) parts through other studio productions, so moved to and toured throughout Europe, most notably to France and the UK, where she found success as a sought after cabaret singer and starred in the British based movie Sanders of the River, alongside Paul Robeson- (who later condemned the film after discovering it’d been re-edited during post-production, to the favor of white imperialism). Nina Mae McKinney returned to the U.S. briefly, in 1939, to tour with Pancho Diggs and his orchestra, and married jazz musician Jimmy Monroe in 1940- they divorced a year later and Monroe married Billie Holiday. The actress still found difficulty navigating Hollywood’s racially biased film infrastructure, continuing to be overlooked for plum roles in favor of her white contemporaries. The rise of independently made race films provided Mckinney with the opportunities that seemed to elude her in Hollywood studio pictures, so she starred in several all-Black productions. McKinney’s last known significant part was a supporting role in Elia Kazan’s 1949 film Pinky, where she played a prostitute named Rozelia. Little else is known about the actress’s later life, save for her reportedly expatriating to Greece for most of the 1950s and 1960s, before dying in New York to little or no fanfare in 1967, at the age of 54. According to the book “African American Actresses: The Struggle for Visibility 1900-1960”, McKinney’s death certificate listed her as having been ‘widowed’ and having worked as a ‘domestic’ for ‘private families’… the very image she tried to avoid inhabiting as an actress. While one is loath to find her film career documented in the mainstream press, Nina Mae McKinney has been commemorated in her hometown of Lancaster, where her portrait hangs among other local notables. In 1978 the actress was also inducted into the Black Filmmakers Hall of fame, and was memorialized on a 2008 postage stamp honoring “vintage Black cinema”. Nina’s career was largely unsung, but the stunning actress and singer still managed to carve out a niche for herself, while helping pave the way for those notable Black actresses who came shortly after her, enabling them to continue knocking down doors in an industry that often didn't (and doesn't ) value or consider Black film actresses palatable enough for mainstream audiences, or viable enough to be placed in starring roles.